A lot of people neglect flossing because they do not believe that it does much for their oral health. In actuality, flossing or water irrigation is one of the most important aspects of an oral hygiene routine and it can greatly affect the condition of your teeth and gums. Brushing your teeth only removes a certain amount of food and plaque that develops in your mouth. Flossing or water irrigating helps you reach the food and bacteria that are hiding between your teeth and in your gums. If you do not reach these areas, you might start to get an infection or inflammation at the gum line, which can eventually cause gum disease. You can ask your dentist for some tips on flossing and water irrigation that will help you do it as effectively as possible. Although a good oral hygiene routine can significantly decrease the risk for periodontal disease, it is not the only factor that can cause it. Smoking, diabetes, obesity, stress, certain medications, and genetics all have been identified as risk factors and risk modifiers for the development of periodontal disease. Because of the fluctuation in hormone levels pregnant women can have a higher risk for developing gum problems. 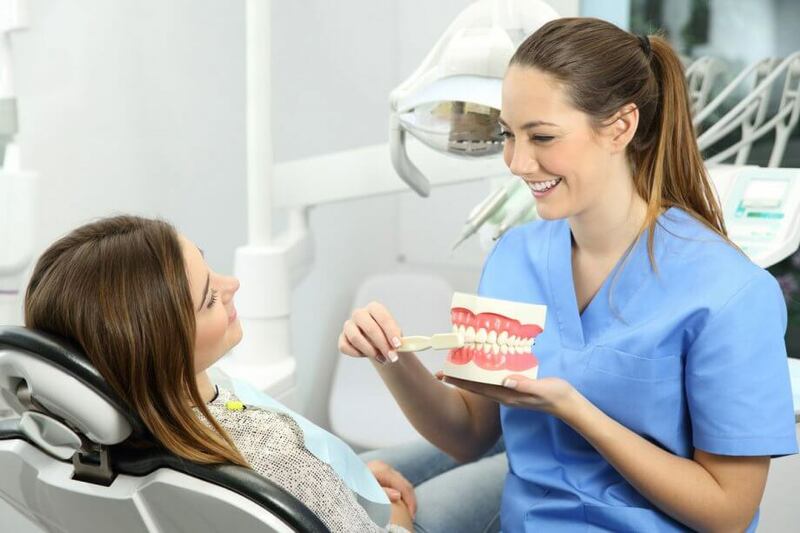 It is important to schedule regular appointments with your dentist to ensure that your teeth and gums are clean and healthy. If you notice any bleeding, swelling, or redness in your gums, it is very important to schedule an appointment with your dentist. These are all side effects of gingivitis, which is the first stage of gum disease. With the proper treatment, gingivitis can be reversed and not lead to a more serious condition called periodontitis. Visit your periodontist as soon as possible to get the treatment you need to avoid further problems. Welcome to the private practice of Dr. Scott Froum, NYC periodontist in Midtown Manhattan specializing in dental implants and bad breath treatments. Call us at 212-751-8530 to schedule your appointment. How Are Periodontists Different than Dentists?